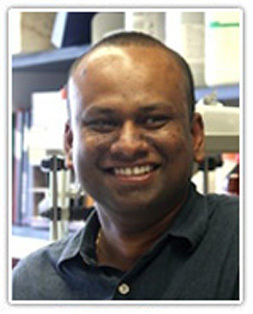 Uttiya Basu received his Ph.D. degree in Molecular Biology from Albert Einstein College of Medicine in 2004. After finishing postdoctoral training in the laboratory of Dr. Frederick Alt at Harvard Medical School in 2009, he joined the faculty of Columbia University, Department of Microbiology and Immunology. His laboratory utilizes technologies Involving genome engineering, genomics and biochemistry. His research is focused on the various mechanisms by which non-coding RNA transcription controls genome architecture in pluripotent and differentiated mammalian cells. He has been awarded the NIH director’s New Innovators Award, the Leukemia Lymphoma Society Career Development award, The Pershing Square Sohn Cancer Research Alliance prize, Irvington Institute and Cancer research institute post-doctoral fellowship and Lymphoma Research Foundation Award for cancer research. The immune system responds to a universe of pathogenic organisms and non-self molecules by generating antibodies with almost infinite diversity. B-lymphocytes accomplish this task by carrying out three remarkable DNA alteration processes: VDJ recombination, somatic hypermutation (SHM), and class switch recombination (CSR). V(D)J recombination on immature B lymphocytes in the bone marrow dramatically increases the immunoglobulin (Ig) repertoire; subsequently, B cells migrate to secondary lymphoid organs where they undergo SHM, increasing the affinity of an immunoglobulin for cognate epitopes, and CSR, tailoring the effector function triggered by a specific antigen-recognizing antibody. These last two genetic alterations depend on the single stranded (ss)DNA cytidine deaminase, AID. The DNA mutator AID catalyzes both CSR–by initiating the generation of DNA double strand breaks in the immunoglobulin heavy chain locus (IgH) switch sequences (IgS)—and SHM (by incorporating point mutations in the immunoglobulin variable region genes). However, AID can also accidentally create DNA lesions in the B cell genome, potentially causing B cell malignancies. AID’s activity is regulated, among other factors, by the cellular non-coding RNA processing pathway complex RNA exosome. Using a mouse model in which RNA exosome activity can be conditionally deleted, we have found that genomic regions targeted by AID express a subset of antisense non-coding RNAs and that these regions demonstrate divergent transcription. In addition, we have also identified regions in the B cell genome that express various long non-coding RNAs including enhancer RNAs (eRNAs) and these AID target DNA sequences are hypermutated by AID. In sum, our laboratory investigates how transcription of non-coding RNAs may influence AID-induced B cell genome mutagenesis that ultimately leads to B cell lymphomagenesis. Our work has implications in the fields of B cell mediated immunity, B cell oncogenesis, and regulation of the non-coding RNA transcriptome. Vadim Y Dudkin is Scientific Director and head of Centyrex targeted delivery team at Janssen, focusing on solving intracellular and tissue specific delivery of nucleic acids, small molecule drugs, and other payloads. Vadim has 16 years of experience in nucleic acids therapeutics, bioconjugates, and small molecule discovery research at Janssen, Merck, and Memorial Sloan-Kettering. Prior to joining Janssen, Vadim led a team of scientists engaged in siRNA delivery at Merck and Co.
Unlocking the full potential of oligonucleotide therapeutics to address unmet medical needs requires development of strategies for efficient and functional delivery of oligonucleotides to target cells outside of the liver. We established a scientific collaboration to explore extrahepatic delivery of chemically stabilized siRNAs as direct conjugates with Centyrins, a novel class of highly stable FN3 domain proteins. This presentation will discuss preparation, characterization, in vitro and in vivo gene silencing properties of Centyrin – siRNA conjugates. Torsten Hoffmann joined Silence Therapeutics as Chief Operating Officer in June 2017. He has over 20 years of international R&D management experience. Prior to joining Silence, Torsten served as Chief Scientific Officer and Managing Director at Proteros biostructures from July 2015 and before then as Chief Scientific Officer and Executive Vice President at Zealand Pharma from July 2013. He previously spent 16 years at Roche in roles of increasing responsibility up to Site Head of Medicinal Chemistry at the company head quarter in Switzerland, and Head of the Global Roche Postdoc fellowship program. Torsten is the lead inventor of the anti-emetic medicine Netupitant, discovered at Roche and approved by the FDA as Akynzeo© in 2014. Torsten holds a PhD in Chemistry from the ETH Zürich, Switzerland, which was followed by a role as research associate at the Scripps Research Institute in La Jolla, California. He has authored more than 85 publications, patent applications and published conference reports and has served on a number of advisory boards. His awards include the Feodor Lynen award and a fellowship from the Alexander von Humboldt Foundation, Germany. The author will describe the personal R&D experience in pharmaceutical industry and biotechnology from past 20 years, reaching from small molecule and peptide therapeutics to oligoribonucleotides and their conjugates. In particular, the latter therapeutic modality will be explored in greater detail. Conjugation of oligoribonucleotides with, for example, small molecules, carbohydrates, peptides, or antibodies display new possible avenues to pursue the development of novel therapeutics. At Silence Therapeutics, we foresee that medicinal oligoribonucleotide chemistry could be applied increasingly in a modular fashion, comparable to microelectronics. The intelligent assembly of known modules with unique properties and functions could lead to the construction of multifunctional molecular medicines with improved safety and efficacy, pharmacokinetic properties, as well as targeted delivery. Dr. Kay is the Head of the Division of Human Gene Therapy and serves as the Associate Chair of Research in Pediatrics. He received a Ph.D. in Developmental Genetics, and M.D. from Case Western Reserve in Cleveland, Ohio. Before coming to Stanford in 1998, Dr. Kay was at the University of Washington as Associate Professor in the Departments of Medicine, Biochemistry and Pathology. Dr. Kay has received many awards. Dr. Kay was on the founding board of directors of the American Society for Gene Therapy and served as the Society’s Vice-President, President-Elect, and President in 2003-2006. 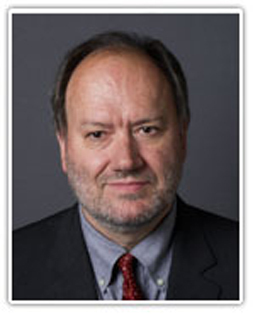 He is on Board of Directors of the Oligonucleotide Therapeutics Board of Directors. He was elected to the Association of American Physicians in 2010. Dr.Kay received the American Society for Gene and Cell Therapy’s Outstanding Investigator Award in 2013. He is a scientific founder of Voyager Therapeutics and LogicBio Therapeutics. Dr. Kay has published over 250 scientific papers.The focus of the laboratory is to establish the scientific principles required for gene and nucleic acid transfer for the treatment of genetic and acquired diseases. Dr. Kay has worked on the development of many DNA gene transfer vectors and the mechanism by which they transduce tissues in mammals. His group has performed two Phase I/II gene therapy trials for hemophilia B. His laboratory was the first to establish therapeutic RNAi in whole non-embryonic mammals, and RNAi-mediated inhibition of a human viral pathogen (HBV) in animals. His work continues towards defining the molecular limits of delivered and expressed RNAi in vivo as well as the mechanisms involved insi/shRNA-mediated gene silencing and the biological mechanisms involved in miRNA-mediated gene repression. In addition, his laboratory is studying the role that a newly discovered small non-coding RNA plays in mammalian gene regulation. 1) tRNA derived small RNAs (tsRNAs) are derived from many different precursor and mature tRNAs in the cell. 2) These tsRNAs play various roles in regulating genes in mammals. MicroRNA Therapeutics: Targeting the Genomic Dark Matter in Human Disease. • The non-coding genome (“genomic dark matter”) makes up 98.8% of the human genome. • Most of this non-coding genome is transcribed into non-coding RNAs that may play an important role in cellular regulation in health and disease; these non-coding RNAs could be novel targets for future medicines. • MicroRNAs are short non-coding RNAs that regulate biochemical pathways and networks of pathways by the mechanism of RNA interference (RNAi). • MicroRNA-21 has been implicated in multiple organs as a microRNA associated with fibrotic diseases and cancer. • The presentation will summarize the opportunities and challenges of developing microRNA-based drugs and will illustrate the successful generation of an anti-fibrotic microRNA-based therapeutic approach by targeting microRNA-21 with an antisense oligonucleotide (anti-miR-21). Professor Lilley has worked on the structure and dynamics of nucleic acids for more than 35 years. This was initially focused on DNA, and especially the four-way junction – the Holliday junction of genetic recombination. He solved the structure in solution in 1988. In the course of these studies Lilley developed biophysical methods, especially fluorescence resonance energy transfer and more recently X-ray scattering. His FRET study of the four-way DNA junction was really the first in the modern era of such studies, and was very influential. Lilley has made many studies of the interactions between DNA junctions and proteins, especially the resolving enzymes. This most recently led to the crystal structure of the eukaryotic enzyme GEN I bound to the product of cleavage of the four-way DNA junction, which has provided significant insight into the recognition process. Lilley has had a long-standing interest in the structure and catalytic mechanisms of ribozymes. He has made extensive mechanistic study of the VS and hairpin ribozymes, and in the last three years he has solved high resolution crystal structures of the twister and TS ribozymes. In RNA structure Lilley has made a detailed study of the structure, folding, protein binding and role of kink-turns, to the point where it is arguably the best-understood structural motif in RNA. Recently this has even gone into the nanotechnology area. Two guanidine riboswitch structures have recently been solved by X-ray crystallography in the Lilley-lab, and will be discussed in the conference. He has also made a recent study of the structure effect of the common RNA modification N6-methyladenine, and shown how this disrupts trans sheared G•A basepairs, and hence box C/D snoRNP assembly. This will also be addressed in the conference. In addition to his research, David Lilley (李大卫) is very active in promotion of links with Chinese science. He is a visiting professor at Xiamen University and at the University of the Chinese Academy of Sciences, a consultant for AB Life in Wuhan and has collaborative links with Shanghai Fudan University. He is also a frequent consultant for the Royal Society on Chinese matters. N6-methyladenine is the most widespread modification in mRNA. Using crystallography we show that N6-methyladenine disrupts trans Hoogsteen-sugar A•G (sheared) basepairs. Using bioinformatics we show that a sub-set of human box C/D snoRNA species have target GAC sequences that lead to formation of N6-methyladenine at a key sheared A•G basepair, of which half are methylated in vivo. Methylation prevents binding of the 15.5 kDa protein and the induced folding of the RNA. Thus the assembly of the box C/D snoRNP could in principle be regulated by RNA methylation at its critical first stage. The human signal recognition particle RNA and many related Aluretrotransposon RNA species are also methylated at N6 of an adenine that forms a sheared basepair with guanine and mediates a key tertiary interaction.N6-methylation of adenine may be the basis of a widespread regulatory mechanism in the cell. Bacterial genes encoding proteins that are involved in guanidine detoxification in bacteria are subject to regulation by riboswitches. Three guanidine riboswitches have been identified. We have solved high resolution crystal structures for the guanidine-II and guanidine-III riboswitches. The former comprises two stem-loops that interaction via loop-loop interaction and this creates specific binding pockets for two guanidine molecules. The guanidine- III riboswitch adopts a pseudoknot structure that includes a triple-helix, and a left-handed helical ramp. The riboswitches use the Hoogsteen edge of guanine to hydrogen bond the ligand, together with π-cation interactions. Both have side openings that allow small side chains access. L. Huang, S. Ashraf, J. Wang and D. M. J. Lilley: Control of box C/D snoRNP assembly by N6-methylation of adenine EMBO rep. in the press (currently available on-line). L. Huang, J. Wang and D. M. J. Lilley: The structure of the guanidine-II riboswitch Cell Chem. Biol. 24, 695–702 (2017). Yale University School of Medicine, U.S.A.
Dr. Lin studies the self-renewing mechanism of stem cells in Drosophila, mouse, Hydra and planarian. He also studies germline development and stem cell-related cancers. Dr. Lin received his BS degree from Fudan University (1982), his PhD degree from Cornell University (1990), and his postdoctoral training at the Carnegie Institution for Science. He joined the faculty of Duke University Medical School in 1994, where he rose to Full Professor. He founded and directed the Duke Stem Cell Research Program (2005-2006), and moved to Yale in 2006 to establish the Yale Stem Cell Center. He is also the Founding Dean (Adjunct) of School of Life Science and Technology at ShanghaiTech University (2014- ). Dr. Lin has made key contributions to the demonstration of stem cell asymmetric division and the proof of the stem cell niche theory. He discovered the Argonuate/Piwigene family and their essential function in stem cell self-renewal and germline development. He is also a discoverer of PIWI-interacting RNAs (piRNAs). Recently, he proposed and demonstrated the crucial roles of the Piwi-piRNA pathway in epigenetic programming and in post-transcriptional regulation of mRNA and lncRNA. Dr. Lin has served many leadership roles in the ISSCR, the scientific community, and beyond. 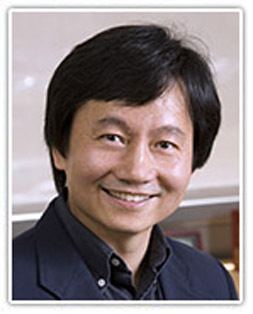 Dr. Lin received over 30 awards in his career, and is an Elected Fellow of the AAAS (2010- ). Small non-coding RNAs have been recognized as key players in gene regulation. In 2006, we and others independently discovered a novel class of small RNAs that interact with Piwi proteins in the mammalian and Drosophila germline. These Piwi-interacting RNAs (piRNAs), mostly 26-32 nucleotide in length and correspond to all types of genomic sequences, represent a distinct small-RNA pathway in the germline. In my talk, I will report our recent progress that reveals the crucial roles of the Piwi-piRNA pathway in epigenetic programming and in posttranscriptional regulation of mRNA and lncRNA. A leader in the fields of cellular and developmental biology, Dr. Lodish has isolated, cloned, and characterized numerous proteins and noncoding RNAs that play key roles in formation of blood and fat cells and that regulate metabolism of glucose and fatty acids. His results have important implications for the treatment of anemias, cancer, diabetes, heart disease, and obesity. In 1988, the Lodish laboratory identified and cloned the receptor for erythropoietin (Epo), the hormone that controls the production of red blood cells. This led to a lengthy set of ongoing projects on the activation of, and signal transduction by, the erythropoietin receptor in erythroid progenitor cells and the regulation of transcription, apoptosis, and cell division during erythroid development. His laboratory is currently characterizing many novel genes that are important for several stages of erythropoiesis, including chromatin condensation and enucleation. A major focus is determining the roles of many long non-coding RNAs (lncRNAs) that are essential for the differentiation and function of erythroid and myeloid cells, and others essential for formation of white and brown adipose cells. Most recently his laboratory developed culture systems for generating mature human red blood cells from hematopoietic stem cells. With Flagship Ventures he cofounded Rubius, a company that uses gene- modified red blood cells as vehicles for the long- term introduction of many novel therapeutics, immunomodulatory agents, and diagnostic imaging probes into the human body. A Founding Member of Whitehead Institute, Lodish joined the MIT faculty in 1968. He has been a professor of biology since 1976 and professor of biological engineering since 1999. He earned his PhD at Rockefeller University in 1966. He was elected a fellow of the American Association for the Advancement of Science in 1986, a member of the National Academy of Sciences in 1987, and a fellow of the American Academy of Arts and Sciences in 1999. Dr. Lodish is a member of the Board of Trustees of Boston Children’s Hospital, where he is also Chair of the Board of Trustees Research Committee. He was Founding Chair of the Scientific Advisory Board of the Massachusetts Life Sciences Center, the group charged with oversight of the state’s 10- year $1 billion investment in the life sciences. He was a founder and scientific advisory board member of several companies including Genzyme, Inc., Arris Pharmaceuticals, Inc, and Millennium Pharmaceuticals, Inc., and has served on the scientific advisory boards of numerous biopharmaceutical companies. Dr. Lodish is the lead author of the textbook Molecular Cell Biology. The eighth edition was published in April 2016; the book has been translated into 12 languages. During the 2004 calendar year Dr. Lodish served as President of the American Society for Cell Biology. Lineage- specific long non-coding RNAs (lncRNAs) that regulate development of erythrocytes, brown and white adipocytes, and probably every tissue. I will discuss recent work from my lab and others showing that many lncRNAs are expressed only in a single type of cell or developmental pathway and are essential for normal differentiation of these cells. Focusing on formation of red blood cells and fat cells, we will see that multiple and diverse types of lineage- specific lncRNAs participate in the regulatory circuitry underlying lineage-specific development. To obtain a comprehensive view of how lncRNAs contribute to erythropoiesis, we, performed and analyzed data from high depth RNA-sequencing on RNAs from erythroid progenitor cells and terminally differentiating erythroblasts. We focused on differentiation-induced lncRNAs, including novel erythroid-specific lncRNAs conserved in humans that are nuclear-localized and identified 13 erythroid-specific lncRNAs that are greatly induced during erythroid terminal differentiation. Importantly, shRNA-mediated loss-of-function assays revealed that all 13 are important for red cell formation. One intergenic lncRNA, LincRNA-EPS, prevents the apoptosis of progenitors that is normally induced by erythropoietin deprivation and represses expression of several proapoptotic genes including Pycard, a caspase activator. A second enhancer lncRNA, Bloodlinc, is transcribed from the erythroid- specific super enhancer of the erythroid- specific Band3 gene. But Bloodlinc diffuses beyond its super-enhancer domain of origin; it localizes to trans-chromosomal loci encoding critical regulators/effectors of terminal erythropoiesis and directly binds chromatin-organizing and transcription factors, including the chromatin attachment factor HNRNPU. Inhibiting Bloodlinc or Hnrnpu compromises the terminal erythropoiesis gene program, blocking red cell production, whereas expressing Bloodlinc ectopically stimulates this program and can promote erythroblast proliferation and enucleation in the absence of differentiation stimuli. Thus, Bloodlinc represents a novel type of trans-acting, super-enhancer lncRNA that potentiates erythropoiesis. Thus diverse types of intergenic, enhancer, and antisense lncRNAs are expressed only in specific types of hematopoietic and adipose cells and are essential for their proper development. They are a significant component of the regulatory circuitry underlying lineage-specific development. Tomas Robert Lindahl FRS FMedSci is a Swedish scientist specializing in DNA damage and repair. 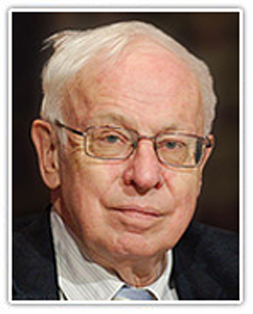 He was director of the Clare Hall Laboratories from 1986 to 2005. He was jointly awarded the Nobel Prize for Chemistry in 2015, the Royal Society’s Royal Medal in 2007, the Copley Medal in 2010, and the INSERM Prix Etranger in 2009. Tomas Lindahl’s Mutagenesis Laboratory at Clare Hall discovered and characterized different DNA repair pathways in a long-term project to provide better understanding of the cellular defence mechanisms against damage to the human genome. Damaged sites in the chromosomal DNA can result in cell death or cancer, but may be corrected by DNA repair enzymes prior to phenotypic expression. The properties of several nuclear enzymes that remove harmful lesions or local aberrant structures from DNA have been investigated. The absence of such DNA repair factors may result in an increased frequency of malignant transformation or in some cases may be detected as immunological deficiencies. Dr. Lindahl closed his lab at the Clare Hall laboratories in 2009 but remains an Emeritus Group Leader at the Francis Crick Institute. Detailed knowledge of the 3-dimensional structure of DNA is already available, but the contributions of cations and water molecules remain to be fully clarified. Their relevance to DNA damage and mutagenesis will be discussed. The weak points in the covalent DNA structure will be explained and the DNA repair enzymes that act on endogenous lesions in DNA will be described. The main form of DNA repair correcting spontaneous damage is base excision repair, but additional more specialized pathways also exist. Nuclear enzymes that act on DNA offer insights into genome stability, mutagenesis, and human disease, as illustrated in this talk by the nuclear TREX-1 DNA-specific exonuclease. Founder, President and CEO, Sirnaomics Inc.
Chairman of the Board, Guangzhou Nanotides Pharmaceuticals Co., Ltd.
Dr. Lu started his biopharmaceutical industry career in 1993 and severed as a lab head and senior scientist in Novartis and Digene (Until 2000). Dr. Lu was the co-founder and Executive VP of Intradigm Corporation (2001-2006). Patrick has authored more than 50 scientific papers, review articles and book chapters, and is an inventor for 42 issued and pending international and China patents. He has been an invited speaker in many international conferences throughout the world, and awarded a number of grants from NIH and the State of Maryland governments. Under his leadership, Sirnaomics has developed an enriched pipeline of novel siRNA therapeutic programs and established partnerships with Chinese Pharmaceutical companies and US biotech companies. The first leading siRNA therapeutic candidate developed by Sirnaomics, Cotsiranib®, has entered Phase IIa clinical study in USA, while being approved for entering clinical study in China as 1.1 category of novel chemical drug entity for treatment Hypertrophic Scar condition. Since 2008, Dr. Lu’s commitment for developing novel siRNA therapeutics for unmet clinical needs in China has been well recognized by many awards including “1000 Talents” national program, “Innovation Pioneer” of Jiangsu Province, “Entrepreneur Leadership” of Guangzhou City, etc. He has also led the State 12.5 key program for Novel RNAi Drug Discovery. RNAi therapeutics is emerging as one of the most promising areas for novel drug discovery and development. With more than 40 clinical studies ongoing and Alnylam’s Partisran success in the Phase III clinical study, we expect a major breakthrough for commercialization of this new modality of the therapeutics happening soon. One important clinical unmet need is the treatment of fibrotic diseases. Fibrosis is defined by excessive accumulation of extracellular matrix (ECM) in and around the damaged tissue, which can lead to permanent scarring on various disease organs: skin, liver, lung and kidney. Using a proprietary and optimized polypeptide-based delivery technology, we have developed the novel antifibrotic therapeutics with siRNAs targeting both TGFβ1 and Cox-2 simultaneously, for initial indication of skin hypertrophic scar followed with liver fibrosis and other fibrotic conditions. With IND approvals by both US FDA and China CFDA, we have started clinical phase 2a in US and preparing clinical phase 1 in China for our leading drug candidate STP705 (Cotsiranib®) to treat human skin hypertrophic scar. I will discuss the unique advantage of our Polypeptide Nanoparticle (PNP) technology platform for efficient siRNA delivery, and our strategy for advancing multiple clinical studies in both China and USA in near future. Piwi Argonautes and their piRNA co-factors promote fertility and silence transposons in diverse animals. However, little is known about whether and how piRNAs regulate other germline-expressed mRNAs. My lab has used transgenes to explore Piwi mediated silencing in C. elegans. We report that endogenous sequences differ in sensitivity to piRNA silencing. Resistance mapped to the coding region of the mRNA, and did not depend on introns, promoter, or UTR sequences. piRNA targeting of a resistant transgene caused a decrease in mRNA and protein levels without completely silencing the target gene. Our findings suggest that piRNAs provide micro-RNA-like regulation on germline genes by targeting the mature mRNA including the open reading frame, and suggest that the mRNAs of endogenous germline genes can evolve different sensitivities to piRNA targeting. 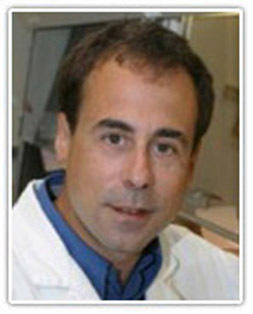 Guillermo Montoya is Professor at the University of Copenhagen (UCPH) and Research Director of the Protein Structure & Function Programme at the Novo Nordisk Foundation Centre for Protein Research (http://www.cpr.ku.dk/). 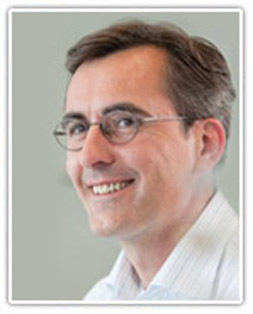 Montoya is also the Chairman of ISBUC, the Integrative Structural Biology Cluster at UCPH (http://isbuc.ku.dk/). In the last years, his main research interests are the structural analysis of macromolecular complexes of the cell cycle such as the mammalian chaperonin CCT complex, where he uses the combination of X-ray crystallography and electron microscopy to gain insight about their working mechanisms. Dr. Montoya is also systematically pursuing the structure-function analysis of endonucleases, which are of great interest because of their potential applications in gene therapy. 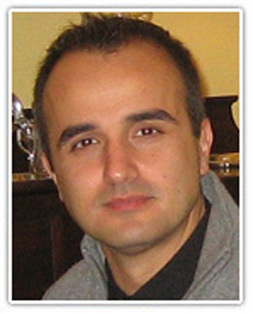 He is member of international project evaluation panels and also reviews projects for European funding agencies (ERC, EU, SNF, DFG, NOW, MINECO, Welcome Trust) and serves as an associate editor and ad-hoc reviewer for high-profile journals. Structural Biology of Genome Editing: How RNA-guided endonucleases cut specific regions of the Genome? Since ancestral time mankind has tried to modify plants and animals to obtain an offspring that could adapt to our needs. In this way farmers have selected more efficient hens to produce a larger number of eggs, more resistant plants, faster and resistant horses or cows that produce a larger amount of milk. Our ability to modify organisms has changed dramatically with the introduction of genome editing. Thanks to the discovery of new genome modifying enzymes we can perform a safer and faster manipulation to edit a genome. I will address the molecular mechanism that control specificity and cleavage of one of these tools, Cpf1, a single RNA-guided endonuclease of class 2 type V CRISPR-Cas system, which is emerging as a powerful genome editing tool. To provide insight into its DNA targeting mechanism, we have determined the crystal structure of FrancisellanovicidaCpf1(FnCpf1) in complex with the triple strand R-loop formed after target DNA cleavage. The structure reveals a unique machinery for target DNA unwinding to form a crRNA-DNA hybrid and a displaced DNA strand inside FnCpf1. Our study reveals a singular working model of RNA-guided DNA cleavage by Cpf1, opening up new avenues for engineering this genome modification system. Dr. Motamedi is an Assistant Professor in Medicine at Harvard Medical School and Massachusetts General Hospital Cancer Center. His group is interested in understanding the molecular mechanisms by which chromatin and non-coding RNAs initiate, maintain and propagate epigenetic states in eukaryotes. He received his Ph.D. from University of Alberta in Canada, and joined the Danesh Moazed lab at Harvard Medical School for his postdoctoral training initially as an NSERC and later as a CIHR postdoctoral fellow. His work as a postdoctoral trainee led to the proposal of the Nascent Transcript Model in which long noncoding RNAs provide a platform for the assembly of chromatin proteins in cis relative to their site of synthesis. His lab is now interested in uncovering the mechanisms by which eukaryotic cells establish the transcriptional program of quiescent cells. He has received several awards including the V Scholar and V Scholar Plus and served as reviewer for several high-profile journals and international granting bodies. To survive cells must adapt to short- and long-term stress. Quiescence (or G0) is a highly conserved cellular state which allows cells to survive for long periods of time in reversible dormancy. How cells enter, survive and exit G0 is a critical question in basic biology, which is currently poorly understood. This is because for decades G0 was often deemed as an ‘uneventful’ state in the cell cycle; however, recent discoveries have challenged this dogma and underscored the importance of G0 regulation in several human pathologies, including cancers. G0 entry requires the establishment of a unique transcriptional state, which imparts distinct properties to G0 cells. It is also concomitant with redistribution of constitutive heterochromatic marks, suggesting that heterochromatin proteins contribute to G0 establishment. Most of what is known about constitutive heterochromatin proteins is in the context of their activities at heterochromatic domains. But recently, using the fission yeast, we reported a new function for heterochromatin proteins – the establishment of the global transcriptional program of quiescent (G0) cells. We found as cells enter G0, they coopt the existing heterochromatin machinery to regulate the expression of a set of metabolic, cell cycle and highly transcribed genes, required for the establishment of the G0 state. The de novo targeting of heterochromatin factors to euchromatic parts of the genome requires Ago1-associated sRNAs, resulting in H3K9 methylation of several euchromatic gene clusters. We call this mechanism Quiescent-Induced Transcriptional Silencing (QuieTS) and propose a model in which stress-induced Argonaute-associated nuclear sRNAs can deploy heterochromatin factors globally, forming transcriptionally co-regulated gene clusters critical for the establishment of the adaptive transcriptional program of G0 cells. I will present our latest data testing the various predictions of this model. 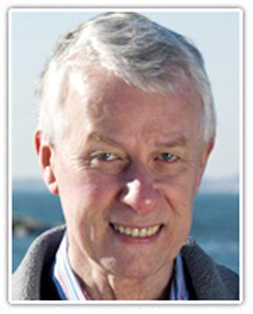 Dr. Richard J. Roberts is the Chief Scientific Officer at New England Biolabs, Beverly, Massachusetts. He received a Ph.D. in Organic Chemistry in 1968 from Sheffield University and then moved as a postdoctoral fellow to Harvard. From 1972 to 1992, he worked at Cold Spring Harbor Laboratory, eventually becoming Assistant Director for Research under Dr. J.D. Watson. He began work on the newly discovered Type II restriction enzymes in 1972 and these enzymes have been a major research theme. Studies of transcription in Adenovirus-2 led to the discovery of split genes and mRNA splicing in 1977, for which he received the Nobel Prize in Medicine in 1993. During the sequencing of the Adenovirus-2 genome computational tools became essential and his laboratory pioneered the application of computers in this area. DNA methyltransferases, as components of restriction-modification systems are also of active interest and the first crystal structures for the HhaI methyltransferase led to the discovery of base flipping. Bioinformatic studies of microbial genomes to find new restriction systems are a major research focus as is the elucidation of DNA methyltransferase recognition sequences using SMRT sequencing and a new approach to m5C containing recognition sequences. Bacterial DNA methyltransferases (MTases) are best known as orphan enzymes such as the Dam methylase of E. coli or as components of restriction-modification (RM) systems. Until recently, rigorously determining the specificity of MTases has been a tedious process. When they were components of Type II restriction systems it has been assumed that the MTases would have the same specificity as the cognate restriction enzyme. For Type I and Type III RM systems specificity determination was rarely attempted. With the advent of SMRT sequencing from Pacific Biosciences this situation has changed dramatically. Now it has become very simple to determine MTase recognition sequences both for individual MTases cloned in plasmids and also for whole bacterial genomes. This offers new insights into the functioning of bacteria and has led to the discovery of many novel MTases with unexpected properties. A new door on bacterial life has been opened and raises many questions, among which one of the most tantalizing is whether bacteria are engaged in novel epigenetic regulation. Yuanxin Xu joined Alnylam Pharmaceuticals in April 2015 as Sr. Director managing Bioanalytical Sciences group. Her responsibilities include dmanagement of method development/validation and sample analysis (done by Alnylam labs and CROs) to support RNAi therapeutic development from pre-clinical to clinical stages. Multiple platforms (such as mass spec, HPLC, qPCR, LBA, and clinical IVD methods) have been in use to evaluate drug mechanism of action, PK/TK/metabolites, PD/safety biomarkers, and immunogenicity (ADA), etc. From 2002-2015, she was Pr. Scientist to Sr. Scientific Director at Genzyme/Sanofi, her responsibilities included clinical assay development/validation and supporting clinical sample analysis for drug development and NDA/BLA filings (protein and small molecule drugs, cell/gene therapies, peptides and an antisense oligonucleotide). She was also Scientific Liaison for Sanofi-CRO strategic alliance. Prior to Genzyme, she studied transplantation and induction of immune tolerance at BioTransplant. Yuanxin received her Ph.D. in Biochemistry (1990) from Iowa State University in Biochemistry as a CUSBEA scholar (China-US government program), and Bachelor of Medicine (1984) from Beijing Medical University (now Peking University). 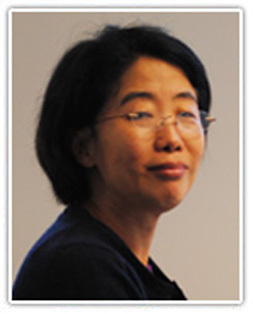 She is an active contributor to AAPS LBABFG, journal reviewer, and invited speaker. Alnylam RNAi therapeutics are a new class of investigational drugs that target genetically validated, liver expressed target genes. This presentation will focus on platform-based approaches to advance RNAi therapeutic development to meet unmet medical needs. Speaker will present data to support development of ALN-AT3 (Fitusiran) for Hemophilia. As part of non-clinical evaluation, examples will be provided from a rat study to evaluate tri-, bi-, mono-, and no-GalNAc conjugate for PK (plasma, liver, and kidney), PD (ATIII mRNA and protein knockdown), liver RISC loading, and protein binding to demonstrate drug mechanism of action to help advancement of this investigational drug to clinical development. Results from clinical studies showed effective functional ATIII reduction and thrombin generation, and most importantly, clinical benefit to reduce bleed events. Fitusiran is an investigational therapy for Hemophilia A and B patients, especially those with inhibitors for Factor VIII and IX and are refractory for factor replacement therapy. 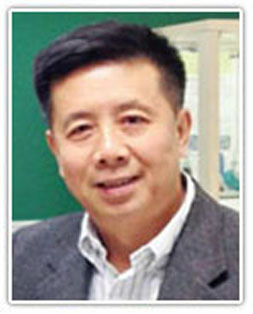 Dr. Yang received his BS degree in Microbiology from FuDan University in 1995 and PhD degree in Biochemistry and Molecular Biology from Shanghai Institute of Materia Medica/Shanghai Research Center of Biotechnology, CAS, under the supervision of Professor Shengli Yang, in 2000. He performed his postdoctoral research in International Agency for Research on Cancer-IARC under the supervision of Professor Zhao-Qi Wang (2000-2005) and Clare Hall Laboratories, Cancer Research UK under the supervision of Professor Tomas Lindahl (2005-2008). He was awarded NSFC Distinguished Young Scholars and MOST Youth Science & Technology Innovation Leader. His research interests mainly focus on dissecting the regulatory roles and biological significance of epitranscriptomic RNA modifications. He has contributed in a breakthrough point of expanding new research frontiers of RNA methylation-mediated epitranscriptomics by identifying mammalian RNA methyltransferases for N6-Methyladenosine (m6A) and 5-Methylcytosine (m5C) and demethylases for m6A, and regulatory roles of m6A and m5C in RNA processing. Over 100 types of chemical modifications have been identified in various types of RNAs including non-coding RNA and mRNA, among which methylation is the most common modification. The N6- methyl-adenosine (m6A) and N5-methyl-cytosine (m5C) are the most common and abundant internal modifications on mRNA molecules. The recent identification of methyltransferases METTL3/METTL14/WTAP and NSUN2, and m6A demethylases ALKBH5 and FTO, supports the reversibility of RNA methylation. Several YTH-domain-containing proteins YTHDF1-3 and YTHDC1 specifically binding to m6A and ALYREF recognizing m5C have been identified to regulate various mRNA processing, suggesting vital roles of RNA modifications in gene expression control. I will discuss the recent progress in RNA modifications and discuss their potential biological significance in this conference.